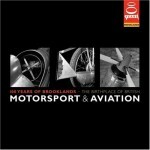 Author Bill Cameron (no relation to Everett Scott Cameron, protagonist of this book) has taken it upon himself to devote some 15 years of his retirement to research and record for posterity the various iterations of The Cameron Car Company. Not an easy task as this company has the dubious distinction of having gone in and out of business more than any other. This regrettable circumstance has often overshadowed the very real and very lasting innovations Everett and brother Forrest Cameron’s fertile and unorthodox minds thought up. 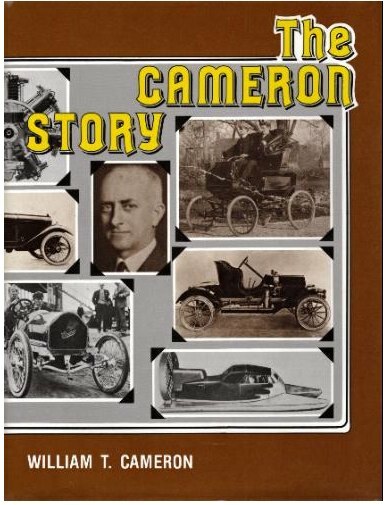 From repairing bicycles in their teens in 1894 to building the first steam car in 1899, the Camerons made their mark quickly. Within a few short years they would produce in a 100,000 ft2 plant 500 internal combustion, air-cooled cars per year in the respectable $800 range. They would build truck, tractor, marine, and aviation engines as well as cars and boats—and yet, despite such prolific output and several innovations that would become industry standards (left-side steering wheels instead of center-mounted tillers, front-mounted engines, air cooling), the Camerons ended up forgotten pioneers. Few car encyclopedias nowadays even mention the Cameron marque, one noteworthy exception being David Burgess-Wise. Cameron closed shop for good in 1922 but Everett continued to design until the 1950s. In 1952 his contemporaries rewarded his contributions by extending honorary memberships in the Antique Automobile Club of America and the Horseless Carriage Club. The write-ups at that time did not tell the complete story, other existing reports were inaccurate, and thus, so many years later, Bill C. undertook to enter into the record the definitive account. Bill Cameron’s book about his namesake is written in the first person, that of Everett Cameron, sort of as a pseudo-autobiography. It is clear Everett has scores to settle and wants to finally set the record straight. The widespread lack of patent applications in the early days often led to much wrangling over “who was first” when an innovation did prove itself and real money was at stake. 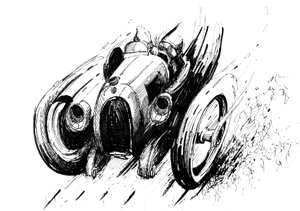 For instance, a 1913 lawsuit brought by FIAT against Isotta Fraschini over alleged patent infringement of a torque tube drive ended abruptly when the court found that the drive, which the Cameron brothers always considered their greatest contribution to automotive engineering, was really invented and used by Cameron as early as 1901. Appended is, in the form of patent drawings, a comparison of transmission systems. Bibliography. Index. It should speak for the quality of this work that the late Beverly Rae Kimes wrote the Foreword in which she praises the author’s work as epic. This book is the first in what was to become a series of limited-edition transportation histories published by the International Society of Vehicle Preservation. That project did not come to pass but the ISVP still exists and its primary purpose these days is to administer the International Automotive Media Awards. 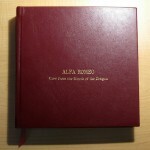 Limited edition of a 1500 numbered copies, with signed book plate.